Mexico is a fascinating and complex country with a rich history and diverse culture. The story of Mexico needs to be told with beautiful music, bold colors and culinary touchstones. It also needs to be told in a somewhat more linear fashion, which we'll overview in the these two sessions. Participants in the class are encouraged to purchase and read "A Brief History of Mexico, Fourth Edition" by Lynn V. Foster. Class sessions will include lectures, slides, and lots of interaction. 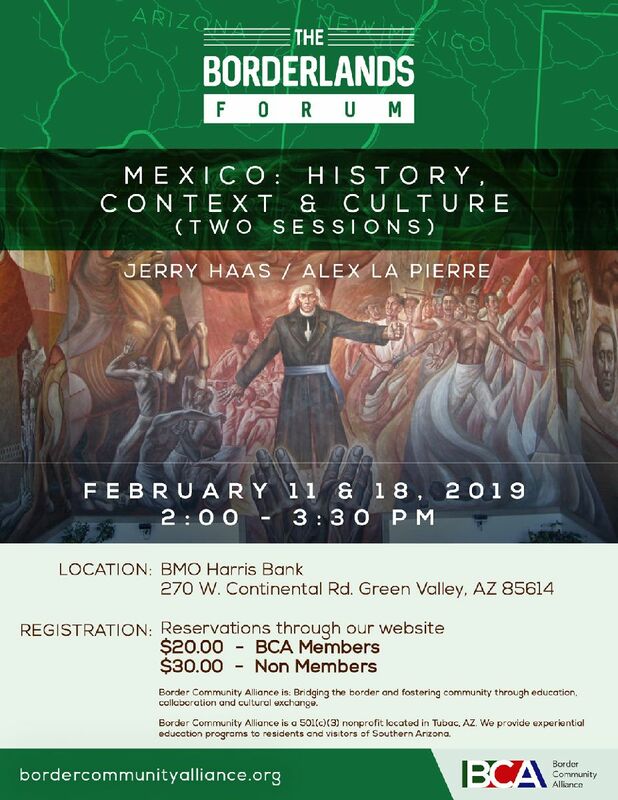 Session one covers the origins of Mexico from about 1250 BCE to Mexico's Independence in 1810. Session two continues the story after independence into the modern era.